The internship scheme of NACWC proposes to train and prepare students/young professionals in the field of chemical discipline on the issues of chemical security in their future professions. To allow short-term exposure to “selected candidates” with the National Authority as ‘interns’ and encourage them to serve National Authority/ Chemical Industry. To motivate the students to acquire knowledge about the ewe and to educate the young professionals in the field of chemical safety and security in their future professions. To train students/ young professionals in the field of ewe thereby preventing the misuse of toxic chemicals and further to prepare trained workforce for the chemical facilities. To assist and inspire interns to serve in the national/international organizations, dealing with the chemical weapons disarmament and related fields. To create/enhance the awareness about the peaceful uses of dual use chemicals among the students/young professionals and prospective entrepreneurs about associated declaration and verification processes stated under the CWC. The internship programme for students. pursuing a full lime undergraduate degree in Chemical Engineering/ Technology/ from any Recognized University/Institution. The Students in 3rd year of their -I year Bachelors programme in Chemical Engineering/ Technology are eligible to apply. Maximum vacancies of interns under this category is limited to 3(Three) only. 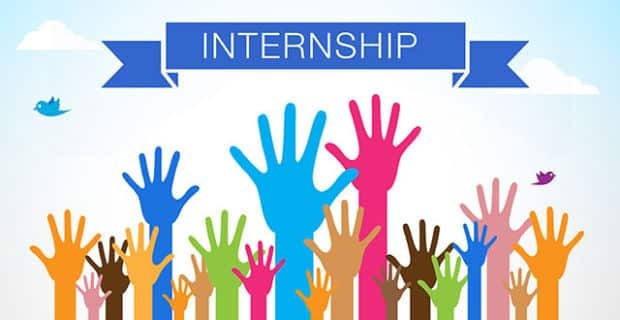 The intern shall be required to produce a letter from their respective Supervisor/Head of Department/Principal indicating their status in the Institution and “No Objection” for allowing the student to undergo internship programme for the period for which he/she is selected. The selected interns are advised to contact their respective designated Supervisor of the Authority and understand the work ethics in the organization. Each student will be required to submit thesis on the topics assigned by the National Authority in consultation with their respective Supervisor. (i) Interested applicants may apply on email at [email protected] only till the online system of receiving the applications is made available on the website of the National Authority. The undergraduate applicants may submit their application in the prescribed format enclosed at Annexure I and the young professionals may submit their application in the prescribed format enclosed at Annexure II. (ii) The interested applicants may submit their applications before the last date of receipt of the application indicated in the Internship cycle. (iii) All the applications received online strictly in the specified format will be scrutinized for selection by the committee as designated by the competent authority of NACWC. (iv) The applications found incomplete or not fulfilling the criteria, or received after the stipulated date shall be summarily rejected. The intern students, pursuing a full time post graduate degree/undergraduate degree shall be entitled to a stipend at the rate of Rs. 10,000/- (Rs. Ten Thousand Only) per month upon satisfactory performance, duly certified by their respective Supervisor. No stipend shall be paid, if the candidate leaves the internship prior to the completion date indicated in the Internship Cycle. Editor’s Note: Internship 2019, Internship, Chemistry Internship 2019, NACWC Chemistry Internship 2019. NACWC Internship 2019. Subscribe to Rasayanika for latest chemistry and Pharma jobs.